My students LOVE their math journals! Each lesson we glue in these little notes and highlight, underline, and take each skill step by step. 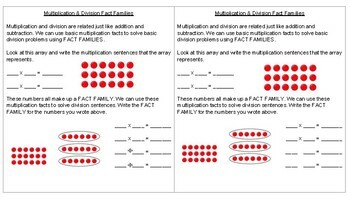 These notes break down multiplication and division fact families and how they work.